There’s a growing trend for adult only hotels on the island, we’ve selected three places to highlight from each holiday resort in Lanzarote. The only five star hotel in Costa Teguise is situated on the beachfront by Playa Las Cucharas. The Meliá Salinas is available for over 15’s only, room styles include Classic (25m2), Premium (25m2), The Level (25m2), Junior Suite (50m2) & Grand Suite (50m2). There’s also 9 garden villas situated on 500m2 plots and the Presidential Garden Villa on a 1200m2 plot. Air conditioning is seasonal and WiFi internet standard. 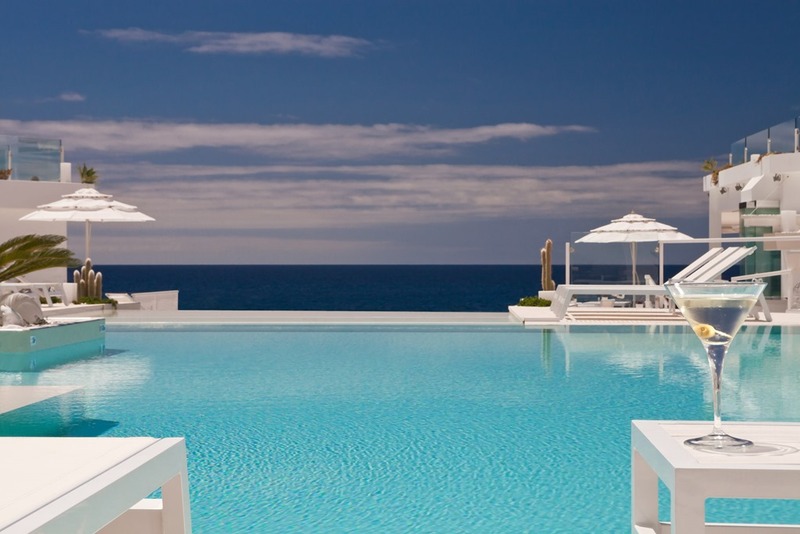 The beautiful 1800m2 lagoon style swimming pool was designed by César Manrique. Bed & Breakfast, Half Board or All Inclusive accommodation available. This newly refurbished hotel is situated on the seafront in the centre of the resort. Choose from Junior Suites (45m2) or Deluxe Rooms (26-30m2) both of which are available with or without sea views. The Barcelo Teguise Beach hotel has been furnished in a modern and contemporary style, many of the rooms have hydro massage baths and hot tubs on the balconies. Air conditioning and free WiFi is standard. Bed & Breakfast or Half Board accommodation available. This three star aparthotel is situated on the Avenida Islas Canarias, set back from Playa Los Charcos. There are a choice of 1 and 2 bedroom Standard or Premium apartments available for guests aged over 18. The Club Siroco Premium apartments located within the Serenity area have been renovated and decorated in a modern style. The Junior Suite is suitable for disabled guests. Room only, Bed & Breakfast or Half Board accommodation available. The Timanfaya Palace enjoys a seafront position by Playa Flamingo beach in Playa Blanca. This Moorish style hotel has a funky interior design with 305 rooms over 5 floors. Over 18’s can choose from three room styles with air conditioning as standard, including double with sea view, double with garden view and superior double with sea view. Half Board or All Inclusive accommodation available. The Pueblo Marinero has a total of 81 apartments available to adults only. Situated overlooking the exclusive Marina Rubicón and 600m from Playa Dorada beach. There are 43 one bedroom apartments and 38 with two bedrooms. The accommodation is available in standard or premier which have air conditioning, bathrobe, slippers and beach towel as standard. The 2 bedroom apartments have free WiFi. Self Catering, Bed & Breakfast or Half Board accommodation available. The Sentido White Suites is an adult only boutique hotel which is conveniently situated in the centre of Playa Blanca, providing easy access to Playa Dorada beach and the town. There are 200 suites available to over 16’s, the exterior of the suites are traditional Canarian architecture with a modern and elegant interior. The suites have WiFi, air conditioning, Nespresso coffee machine, bathrobes and slippers as standard. Bed & Breakfast, Half Board or All Inclusive accommodation available. There are a selection of 25 exclusive suites available to over 16’s at the beachfront Lani’s Suites Deluxe hotel in Puerto del Carmen. Situated in the new town area of the resort there are 5 different kinds of suites ranging from 1 bedroom Suite Deluxe, Suite Ocean and Suite Business to 2 bedroom Suite Master and Suite Lanis. The accommodation is ultra cool, with air conditioning, WiFi, Nespresso machine, bathrobe and slippers as standard. Bed & Breakfast or Half Board accommodation available. There are 26 apartments at the Isla de Lobos are available to over 16’s only. Twenty of the apartments are one bedroom (42m2) and six of them are two bedroom (53m2), sleeping 3 to 5 people and situated over two floors. The Isla de Lobos is situated 150m back up the hill from Playa Grande. Self Catering or Bed & Breakfast accommodation available. The studio apartments at Panorama are situated set back up the hill 500m from Playa Grande. There are four different types of studio apartments available for adult only accommodation ranging from Economy Studio, Deluxe Studio, Studio with Garden View and Studio with Pool View. Self Catering, Bed & Breakfast or Half Board accommodation available. Do let us know if you’re thinking of booking an adult only holiday in Lanzarote, we can combine accommodation at any of these hotels with flights and transfers or car hire. Simply fill in our travel enquiry form for a quote. 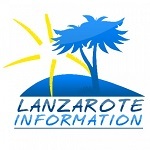 Read more about Lanzarote Hotels. Apartment Jade is a lovely one bedroom apartment in a quiet complex in Puerto del Carmen, with large communal pool and sunbathing area.